Hello lovelies! If you noticed, yes, I am wearing again this cute eyeglass which I wore from my previous post here. I instantly get fond of wearing this because it gives an instant playful look. My husband also liking my look with these glasses on. He said it suits me well. Do you agree? Anyway, today's post is featuring this Plus Size White Leopard Crewneck Sweatshirt from www.martofchina.com . 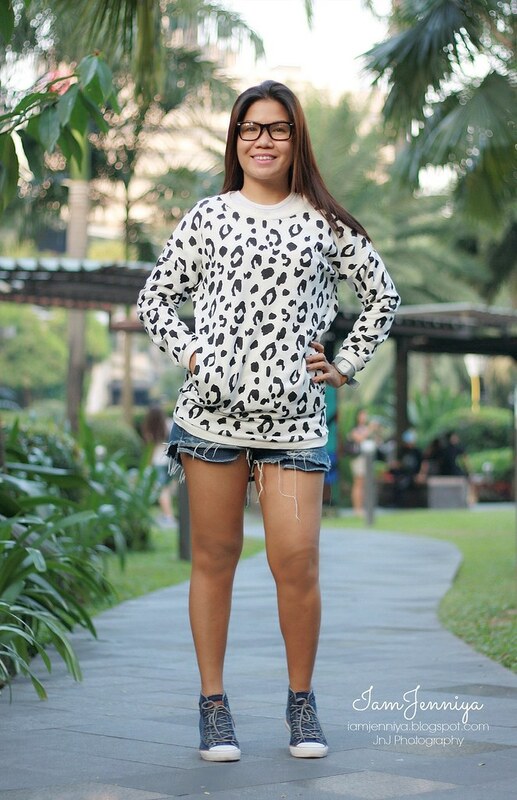 I love the over-sized fit of this leopard sweatshirt. The material is made of cotton, by the way. It has two side pockets. Lately, I am getting fond of animal printed pieces. It is on trend now anywhere you look. The length of this shirt is considerable as mini-dress which you can wear with tights or leggings for those who are experiencing snow now. But in my case, I just paired it with a denim shorts. The weather here during daytime is considerably hot but with a mix of cold breeze sometimes and then it gets cold when the sun finally sets. 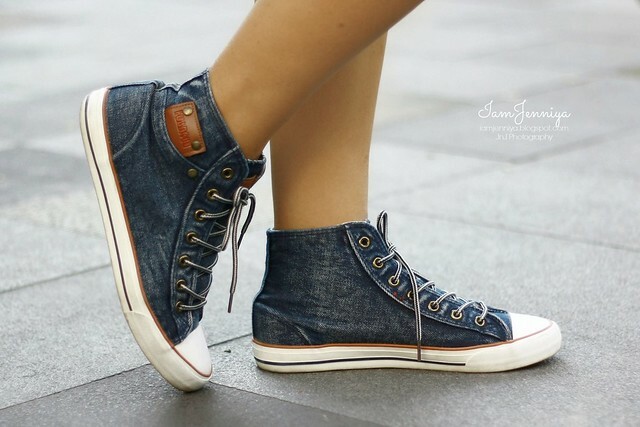 Denim Canvas Hi-Cut Shoes from OASAP. 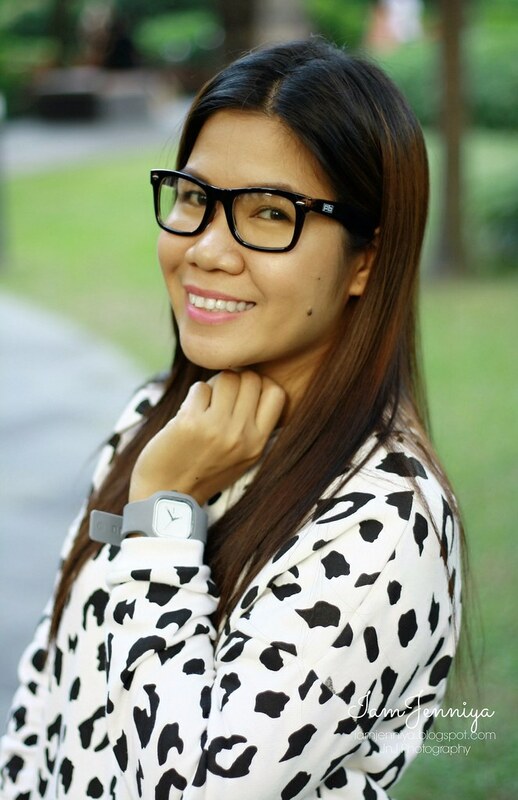 Love this leopard print and your glasses are so chic! Enjoy your weekend! You look absolutely adorable today, I love your sweater! Thanks for sharing. I like the glasses too - cute. And I do like the over sized sweatshirt. When it comes to sweat shirts, oversize works best. This outfit suits you really well! Great background for taking pictures, btw. Love the print of the sweatshirt! I sooo love the sweater!! !